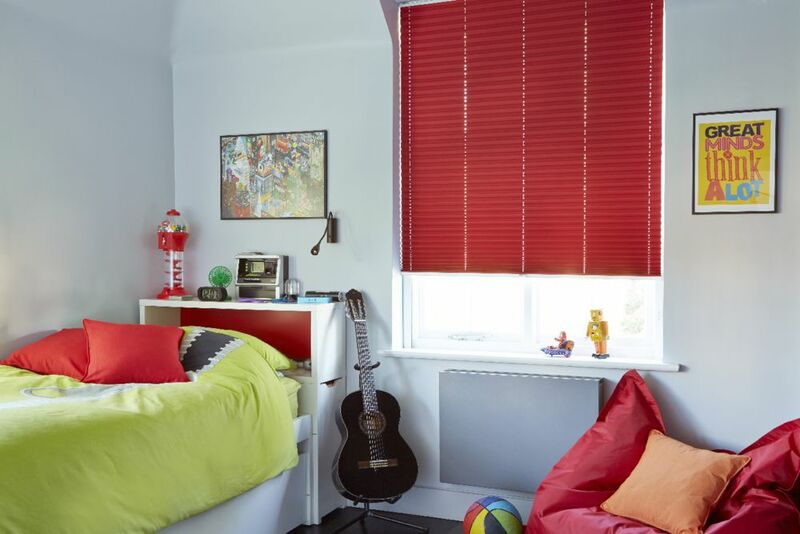 SC Blinds are delighted to be able to offer more than 160 ranges of Pleated Blinds, and our collection has everything from the beautiful contemporary style fabrics through to the more specialist performance fabrics that can help to control heat and offer a wide range of other benefits. In terms of appearance, you will not go far wrong when it comes to pleated blinds, as the neat 20mm pleat of the fabric makes it look simply amazing in your window, and our pleated blinds can also be fitted within a recess or actually within the bead of a window. 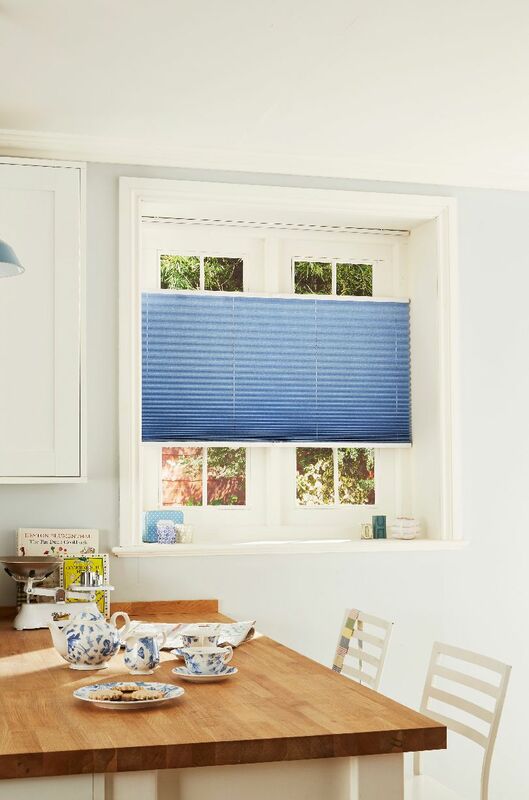 Our pleated blinds are available in FreeHang, Roof Blinds, Half Up and Tabbed, and we are also able to offer the PerfectFit® solutions as well, which means no matter what window or what room of your house you want pleated blinds to be fitted in, we have the right solution for you. 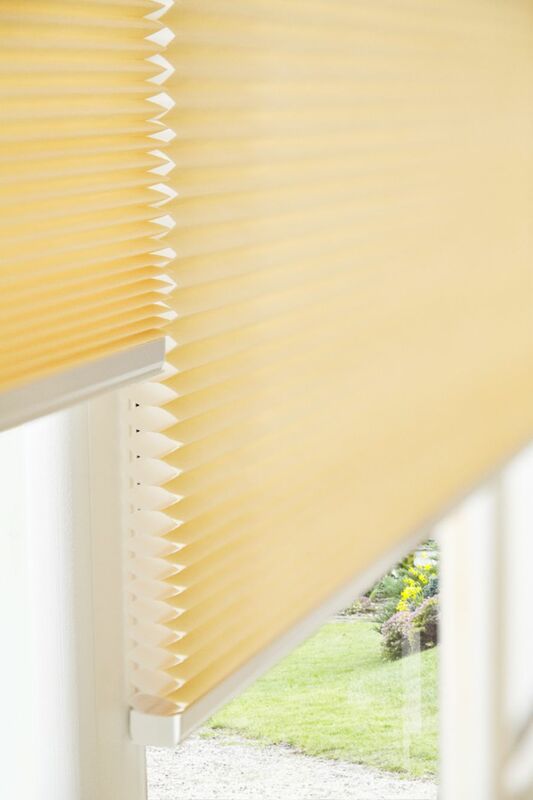 We have a wide range of colours to choose from and all our pleated blinds are made to measure your window, you will not believe our low prices, so give us a call today to arrange a free appointment. 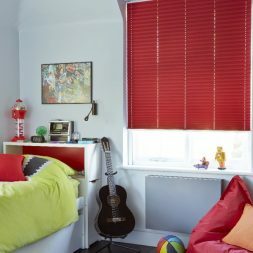 Check out some of the styles on offer below, or please call us on 02392 706 668 for more information about our pleated blind collection, or to arrange a free quote. 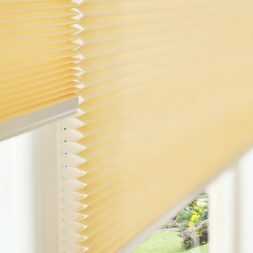 How can Pleated Blinds help with heat control? 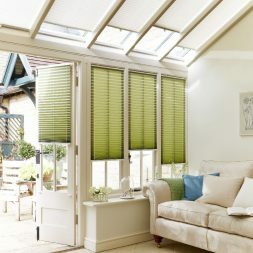 Why are Pleated Blinds the best option for glass roofs? 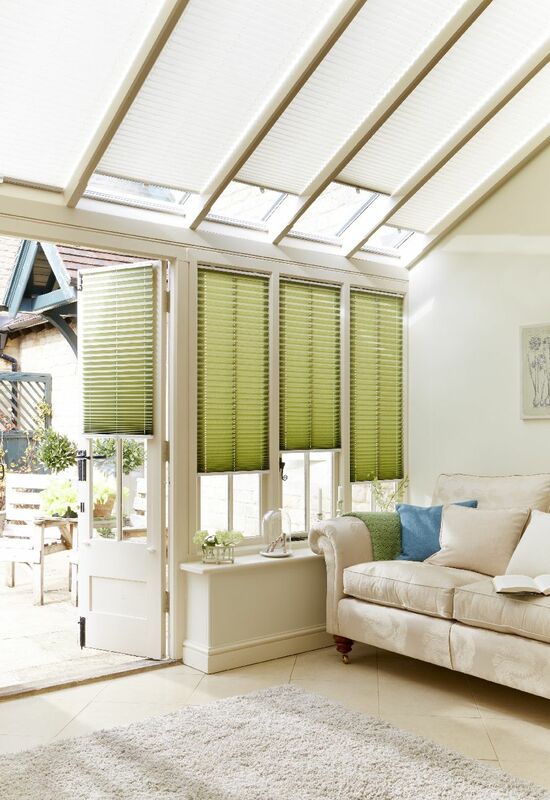 Because of the versatility of pleated fabric, which when manufactured into a roof blind is held in place with tensioned filo wires, a Pleated Blind suits the shape of the glazing in most conservatories or glass roof extension. 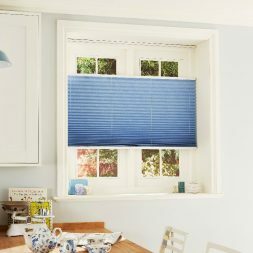 Coupled with its solar reflective properties, this blind is the most sensible option to ensure the glass roofed room is habitable no matter what the weather is doing outside.